Three 1976 photos of Stalybridge and 24 of Chester taken on a summer Saturday in July. 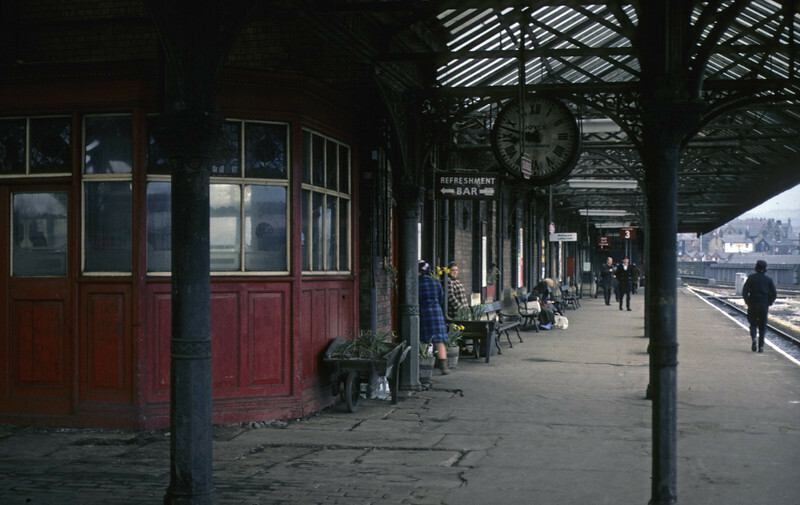 Stalybridge platform 3 looking east, 27 March 1976. Photo by Les Tindall.